3D modeling software can be great tools as they enable you to turn your ideas into shapes. On the other hand, they can turn into a nightmare when you run into design problems, such as non-manifold edges. It is a common case that you may upload a 3D file for 3D printing, but since it contains non-manifold geometries, it fails to be printed. In this post, along with other guidelines we provide you regarding how to fix your 3D files, we will try to figure out how to fix non-manifold issues and to prevent this kind of errors from happening. Let’s make sure together that you will prepare a printable 3D design! 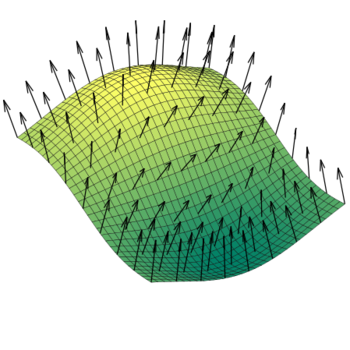 A non-manifold geometry is a 3D shape that cannot be unfolded into a 2D surface with all its normals pointing the same direction. Normal is a vector that is perpendicular to the surface of an object. While 3D modeling, normals are parameters that the designer sets manually, or they are defined automatically by the software. The image below demonstrates in an illustrative way what a normal is. This is a very common error that may occur while creating a digital object. This is because during the creation of a 3D model some operations may create unattached surfaces or they may divide a surface. It may also happen that faces attached to each other are connected to a single point, and not to a single edge. Thus, you get a non-manifold edge. 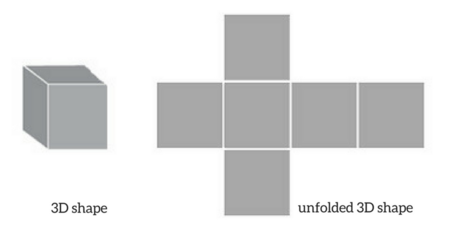 In addition, errors that create a shape without volume should be fixed or eliminated at all. Once you are in the 3D modeling software, these kinds of errors may not be visible, as you are dealing with the shape and the volume of the 3D model as a whole. Though, when 3D rendering, the 3D model is being converted into a 3D frame model. 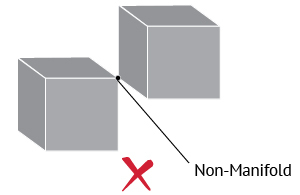 During this procedure, its edges and its vertices are being specified and the object is being drawn as a set of lines at the location of every single edge. So, if a 3D model contains non-manifold modeling errors, will look different when rendering the 3D file. If its wireframe is not precisely determined, the software of the 3D printer will have difficulty in reading the file, so it may not succeed to print the object. Without getting very technical, non-manifold geometry is a geometry that cannot exist in the real world. Meaning that a 3D model can be represented digitally, but there is no geometry in the real world that could physically support it. 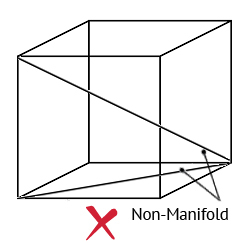 Since the mesh of the 3D model is defined by edges, faces, and vertices, it has to be manifold. If it is a non-manifold mesh, it means there are errors in the 3D model that cannot define with precision the geometry of the 3D model. The software of the 3D printer is reading the exact geometric representation of a model so as to print it. Thus, in case the 3D design contains non-manifold modeling errors that prevent this precision of geometry, the 3D file will not be recognized by the 3D printer, and consequently, the 3D model will not be printed. The shape in the image below represents a typical non-manifold geometry, which you can also find as “T-type”. In this case, there are three faces sharing a single edge. Correcting non-manifold issues like this is easy: you should eliminate the non-manifold surface either by giving it volume or by deleting it completely. In the following picture, we see another common non-manifold geometry, which is often called “bow-type”. In this case, there are more than two surfaces connected to a vertex. This is practically impossible, as there cannot be multiple faces sharing a common vertex but no edge. 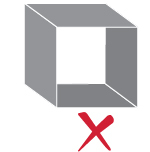 This error could be eliminated by either disconnecting the cubes from each other or by deleting one of them completely. This model represents a cube with surfaces with zero volume, as well as there are two missing surfaces. In the real world, this model cannot exist as it is. In order to fix this geometry, you have two alternatives. Either to adjust the wall thickness of the box or to close the box with adding two new surfaces. 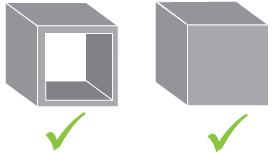 In both cases, the cube has a valid volume and it can be 3D printed. 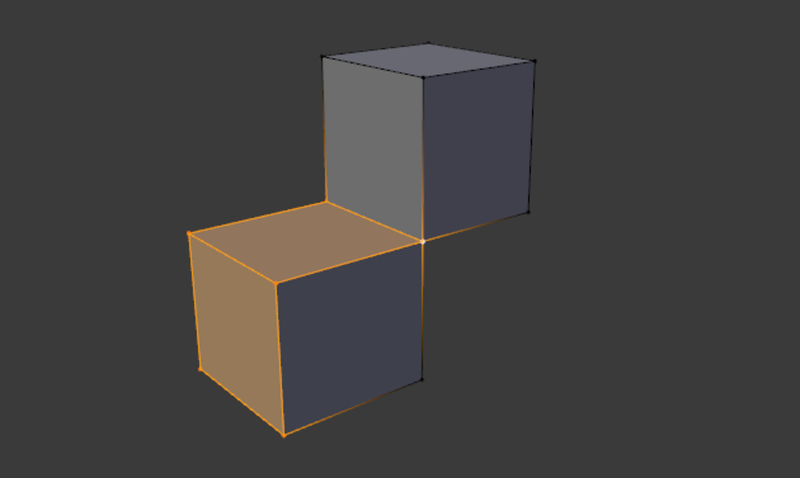 In the following image, we see the wireframe of a cube. From this perspective, we see an internal face that is totally unnecessary. This error can be easily fixed by just deleting the internal face. If you do not delete that face, the software of the 3D printer will have difficulty in reading your file. In this example, we see a single shape with two adjacent faces which have opposite normals. This error could be hard to detect, as it is the least obvious one. Once you detect the error, it is easy to fix it, by just reversing the normals, so that they point the same direction. 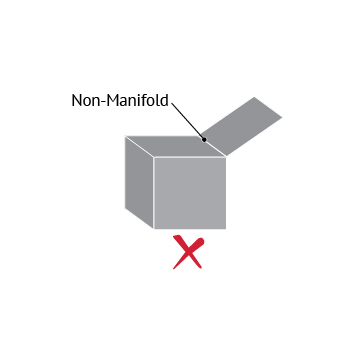 In order to ensure a successful 3D print, you should make sure your 3D file does not contain any non-manifold mistakes. At Sculpteo, we know getting started with 3D modeling for additive manufacturing is not easy. That’s why we have created many tutorials on how to fix your 3D file for 3D printing. Some of them, include instructions on how to create correct manifold geometry with a particular software, such as with Rhinoceros software, SpaceClaim software or Autodesk Inventor software. We also invite you to see how you can fix non-manifold geometries using Autodesk Alias software, Catia software and Blender software.